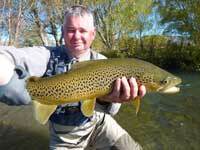 Franck is a long time client who prefers to make his bi-annual trip "downunder" near the end of the season in April. This time he was accompanied by mother Raymonde and sister Florence. 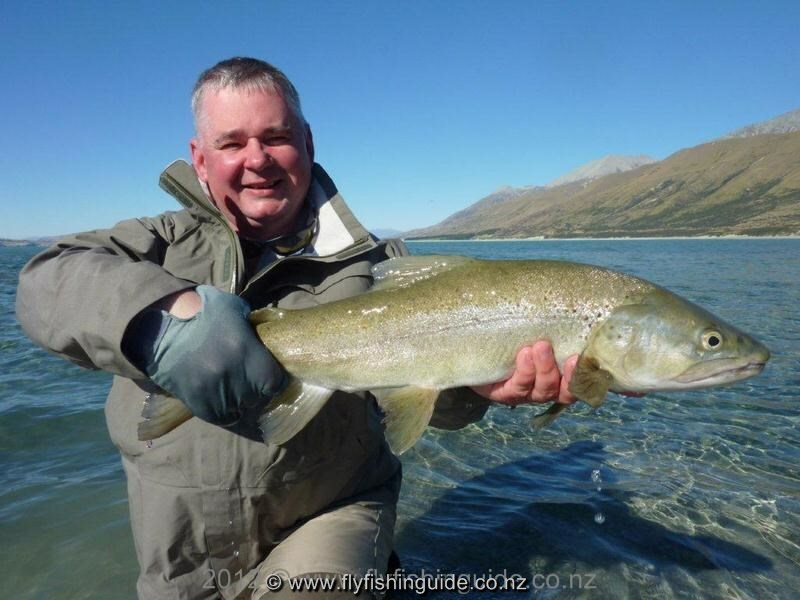 The ladies spent their time visiting the Mackenzie Basin, east coast and Central Otago while Franck prefers to resume battle with the local trout population! 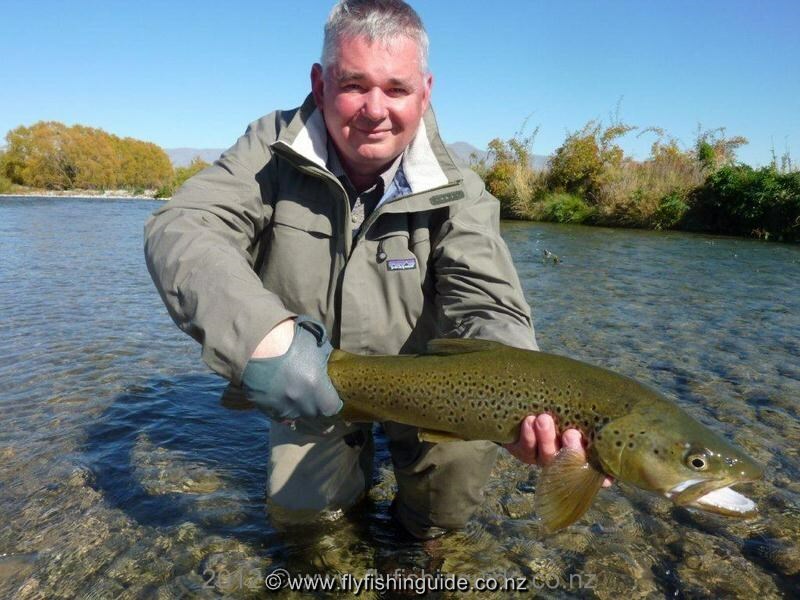 With half a dozen trips to NZ to his credit Franck has had a lot of kiwi angling experience. The fish were always going to be on the back foot! 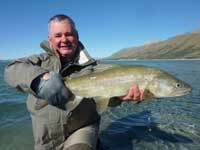 Late season angling can be very rewarding but demanding at the same time as spotting conditions are difficult with the sun lower in the sky. On top of that, the fish have seen a lot of action since the start of the season but success will follow with careful fly selection and presentation. 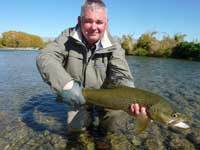 As a bonus, climate conditions are on the whole very pleasant with cool nights and warm sunny days. 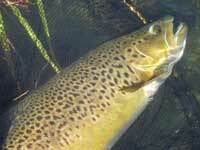 The pesky nor-west winds common in the Spring are usually absent helping the emergence of mayflies on certain waters. 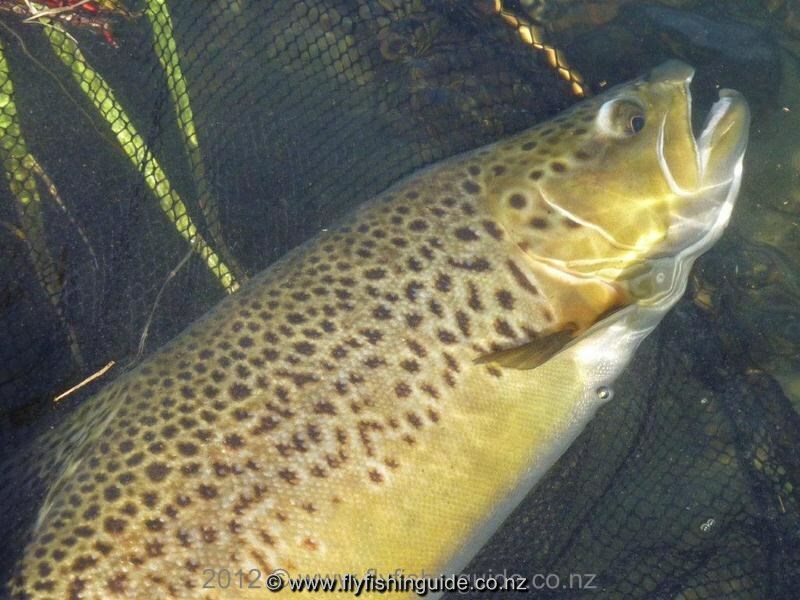 Heavily spotted brownie in top condition Recovering after a hard fight.